hd00:17Blue and green ink on paper. 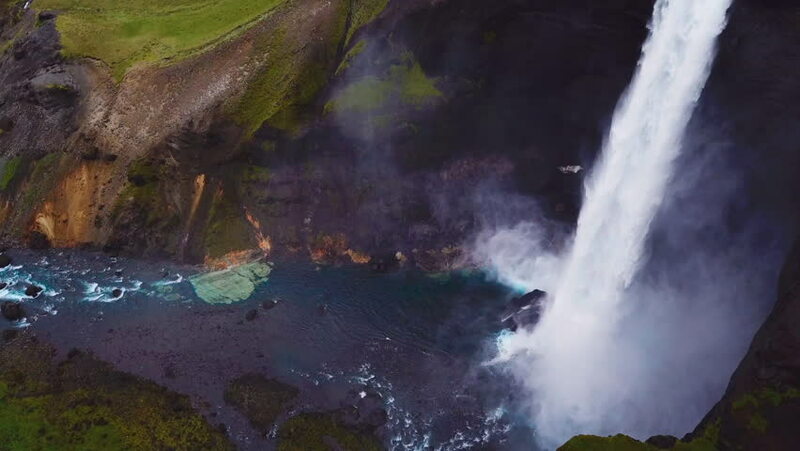 hd00:16A waterfall in super slow motion at 240 frames per second, revealing a rainbow in the mist. hd00:13Aerial flight inside cloudy foggy high mountains canyon.Aerial pass inside a deep gorge or canyon of a national park during a dark moody autumn or winter morning while fog slowly kicks in.